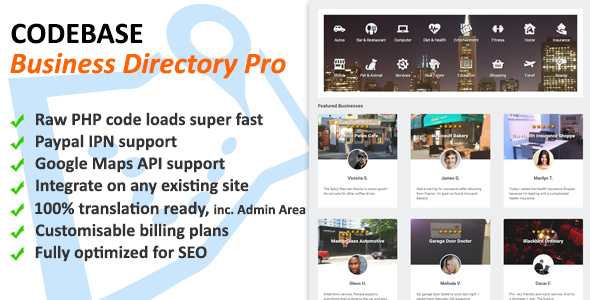 Codebase Business Directory Pro is a business directory script written in PHP. It is feature rich and designed with fast page load times in mind. Page load times and website speed can greatly impact your search engine rankings so having a fast site can give you an edge over your competition. 0 Response to "CodeCanyon - Codebase Business Directory v1.02 - PHP Script"